Modern wedding band with brushed middle and polished beveled edges. Horizontal and vertical inlays create structured look. 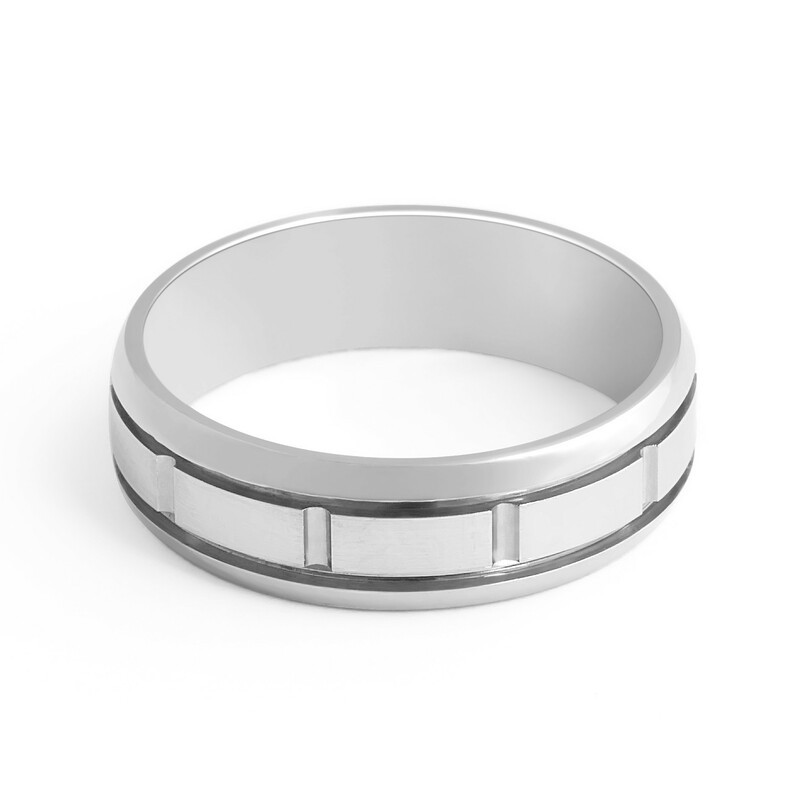 Solid Modern wedding band combining brushed and polished surface with inlay feature in 6 MM easy fit .